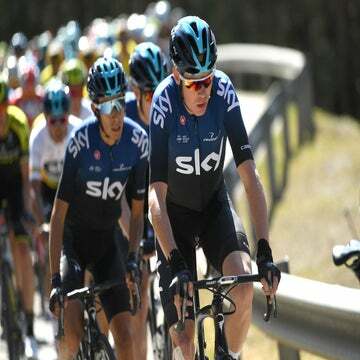 Chris Froome earned a stunning victory in stage 8 of the 2016 Tour de France, but was it due to superior aerodynamics on the downhill. Last year, Froome attacked over the top of the Peyresourde climb during stage 8 of the Tour de France. He escaped from a small group of GC contenders and put 13 seconds into the chasers on the 15-kilometer descent to the finish. 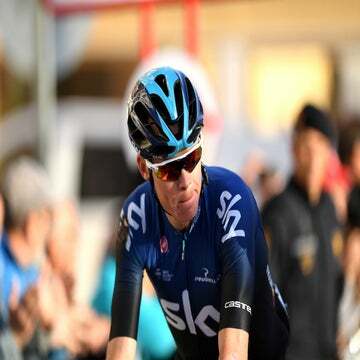 On the downhill, Froome sat on the bike’s top tube and leaned forward with his chest resting on his handlebars. Did he win the stage because of superior aerodynamics? Blocken’s researchers set out to answer this question using wind tunnel testing and CFD (Computational Fluid Dynamics) simulations. A team of researchers from the Eindhoven University of Technology in the Netherlands, Leuven University in Belgium, the University of Liège in Belgium, and ANSYS International worked together on this independent and unfunded project. They tested six different pro riders’ tuck positions to compare the amount of drag and then ranked each rider’s speed. The study also examined these positions in regards to safety and power production. Froome’s position was actually the fourth-fastest position tested. In the study, Peter Sagan’s similar tuck position was found to be the fastest, producing the least amount of drag in both wind tunnel testing and CFD. Cancellara’s “Back Upward” position ranked the slowest due to the more upright position and the drag caused by the larger frontal area of the rider. Sagan’s “Top Tube Safe” position ranked the fastest, 17 percent faster than Cancellara. Froome came in with the fourth-best position at 9 percent faster.